Find the perfect pint of gold in Virginia Beach with a lucky St. Patrick’s Day celebration. Kick it off early on Friday with a happy hour event at one of Virginia Beach’s best bars and pubs, cover-free. From 5pm to 10pm, enjoy plenty of thirst-quenching drink specials to kickstart this St. Patrick's Day. This is Virginia Beach's lucky night - our festive St. Patrick's Kickoff Party is on Friday night, March 15th, initiating St. Patrick's Day weekend. That means you have the opportunity to celebrate early, so don your green and find out what the craic is about at this clover rager. You've never seen Virginia Beach as green as this - it's a night full of drink specials and cheer in celebration of the Emerald Isle. 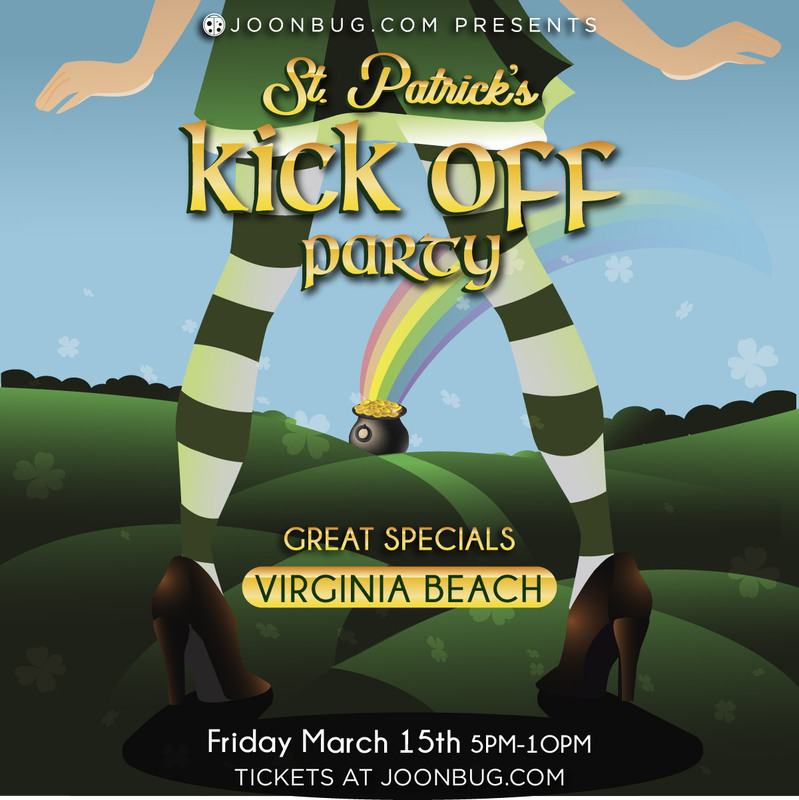 Whether you've got Celt in your blood or you're just looking for a good time, everyone is invited to share in the luck at Virginia Beach's St. Patrick's Kickoff Party!